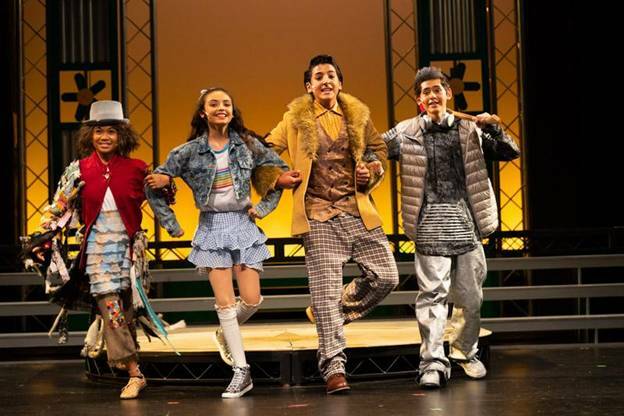 SAN JOSÉ, CA – in its 50th Anniversary Season, celebrating excellence and providing access to the arts for all, “CMT Rising Stars” presented to the audience a lively version of THE WIZ on the afternoon of July 14 at the Montgomery Theatre. 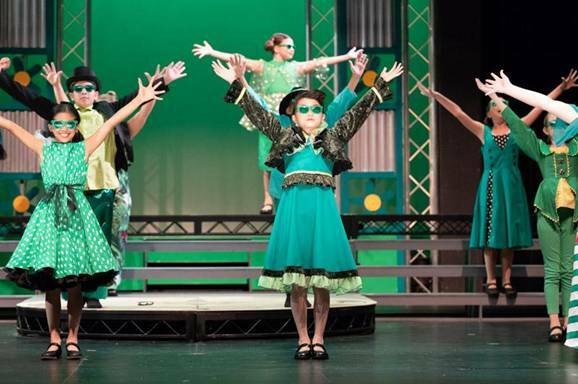 Directed and choreographed by SHANNON SELF, the musical version of The Wonderful Wizard of OZ (THE WIZ) with book by WILLIAM E BROWN and music an Lyrics by CHARLIE SMALLS, was beautifully choreographed, (SELF) well sang,(MASON KIMONT, Vocal & Music Director) and energetically danced. Yet, the show could have been “perfect” with a few small changes. Visually, the Emerald green set (set Designer JIM CULLEY) caught our eye from the moment we entered the theatre. It looked wonderful on the stage, showing behind the two thick boards simulating pillars, ornamented in gold. We should add that everyone of the sets served their purpose well. The costumes (NOREEN STYLIADIS) however, were appropriate for those actors playing the The WIZ, his guards, Evillene and her winged monkeys and the Munchkins, but certainly not for the Tinman and the Lion. The reason is that the audience is so used to seeing these character (Tinman and Lion) in so many productions, that a brown jacket with fur for the lion and no silver armor for the Tinman could not satisfied them. ISABELLA ESLER gave us a realistic performance as Dorothy and a beautiful versions of her songs in her full mellow timbre of voice. In their roles, the Scarecrow, Lion and Tinnman, also stayed in character. Played by SKYLER ANDREWS on that afternoon, THE WIZ gave us his best acting on the second act where we felt that he had the complete control of his role, and sang his “Believe in Yourself” to Dorothy with feeling. The energy in the dances of the dancers that afternoon was amazing. And all dances were well coordinated, and danced with rhythm. At the end of this review, I will add a coment from a woman in the audience who told this critic that it was amazing how CMT manages to train and educates today’s youth through musical theater and how it achieves high artistic and personal goals from young kids that in time, may become tomorrow's Broadway stars. 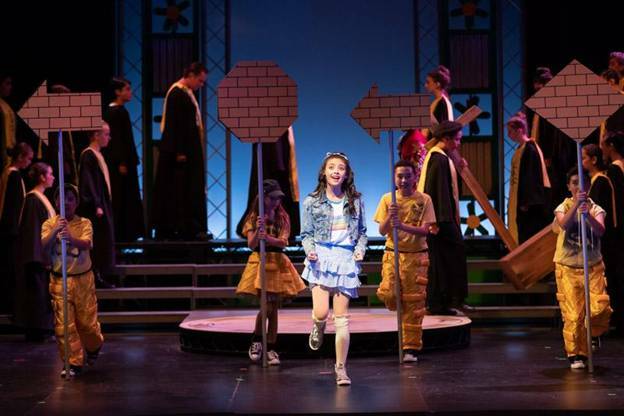 THE WIZ will play at the Montgomery Theater in San Jose until Sunday July 21st at 2 PM. With a different cast. For tickets online go to CMTSJ.ORG or call 408-288-5437.